U Konserve's stemless insulated wine and beverage tumbler. The sustainable alternative to shattering glass and wasteful plastic. 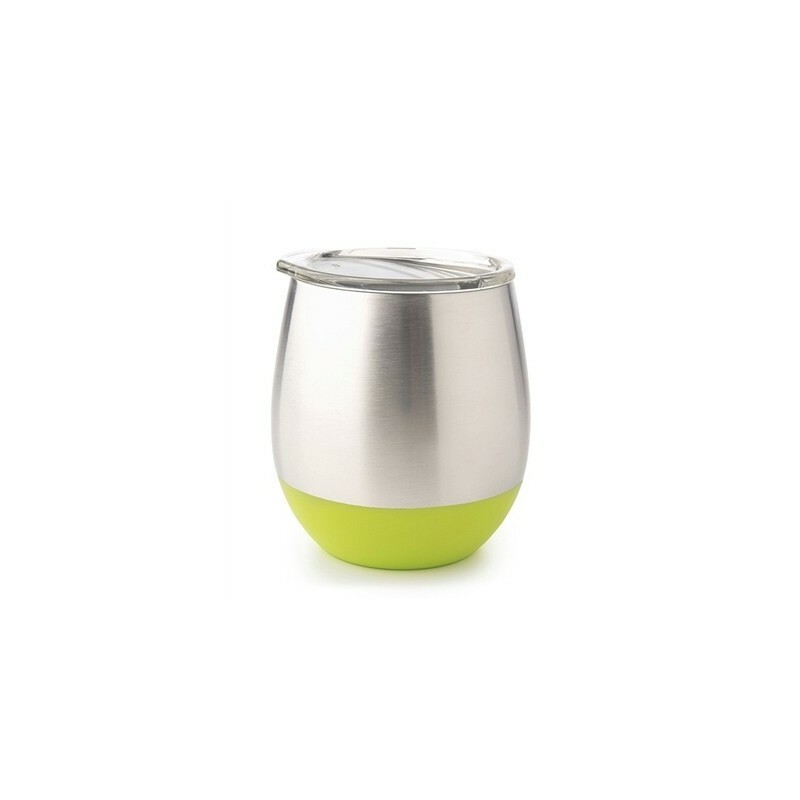 Very hot beverages will stay hot for over two hours with lid and cold ones for up to six hours. The ideal shatterproof solution for outdoor dining, dinner parties, poolside and on-the-go sipping! 236ml. Lime green colourway. Dishwasher safe within top rack only, otherwise hand wash in warm soapy water. Should you experience the appearance of "rust" on any stainless steel product, it is more than likely a discoloration or harmless residue left behind from the electro-polishing process. Buff it out with an heavier kitchen scrub brush. 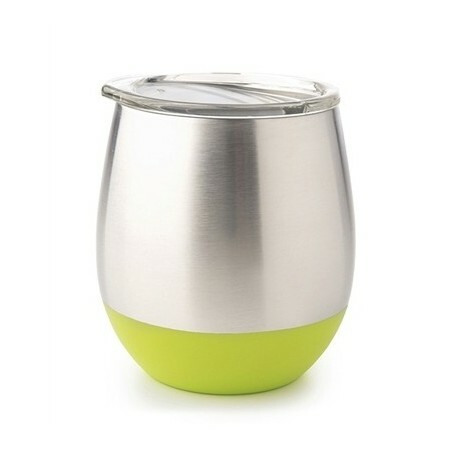 8 oz (236 ml), 9.5cm x 8.2cm (18/8) stainless steel, lid: tritan plastic. Browse our other U Konserve products.